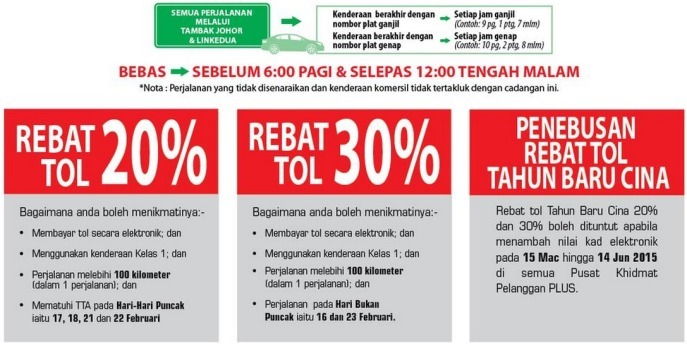 PLUS Malaysia Berhad, or PLUS, will be offering up to a 30% toll rebate for Class 1 vehicle users on the expressway in conjunction with the Chinese New Year. A rebate of 20% will be given for journeys on peak days, namely February 17, 18, 21, and 22 involving Class 1 vehicle users who comply with the travel time advisory (TTA) issued by PLUS. 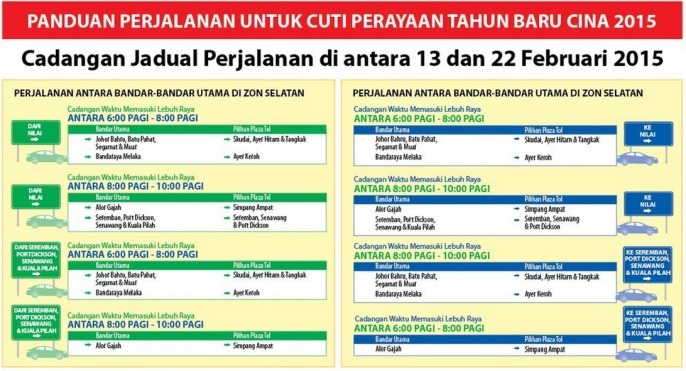 PLUS is also giving a 30% rebate for Class 1 vehicle users on non-peak days, namely February 16 and 23. 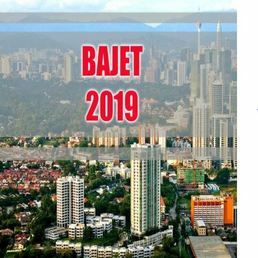 PLUS managing director Datuk Noorizah Abdul Hamid said those travelling in excess of 100km and pay toll electronically qualify for the discounts. "PLUS finds high adherence to TTA can ease congestion on the main route of the expressway, rest areas and toll plazas," she told a media conference at the Mufors Gallery in Petaling Jaya today.